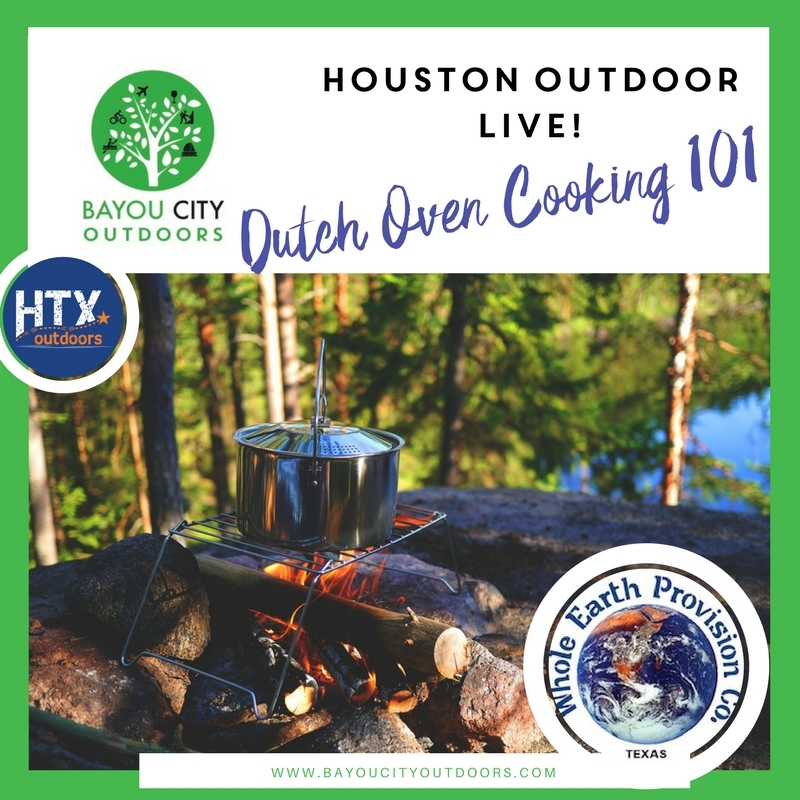 Join Bayou City Outdoors, HTX Outdoors & Academy Houston. for Houston Outdoor LIVE. You can join us in person or, check us out via Facebook Live. Both events run simultaneously and you can join the Q&A online or at the event. Forget about hot dogs on a stick and beans in a can and start thinking Pot Roast, Pi, za and Enchiladas! Instead of oatmeal or cold PB&J, you can fry up some bacon, potatoes & eggs… or even bake some biscuits and gravy.